An ancient necropolis containing dozens of stone coffins and a necklace bearing a “message from the afterlife” has been discovered in Egypt. The site near the city of Minya, south of Cairo, is more than 2,000 years old and is expected to take another five years to excavate. 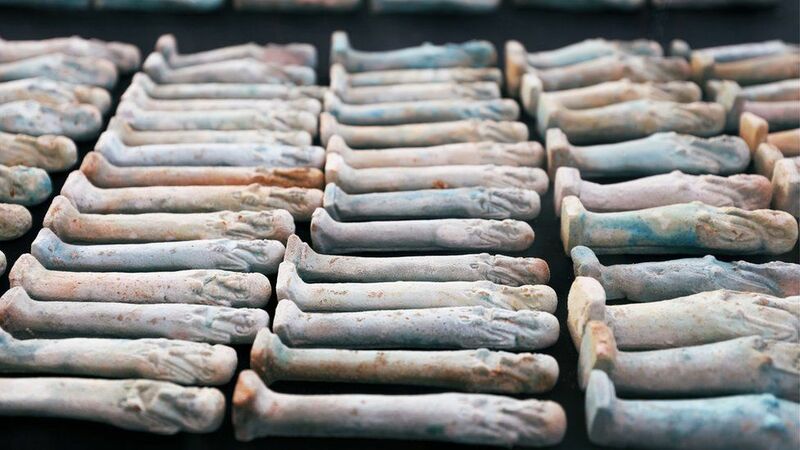 Antiquities Minister Khaled al-Enany said it contained 40 sarcophagi, jewellery, pottery and a gold mask. He said there were burial shafts dating from the late Pharaonic period to the early Ptolomaic era of around 300BC. 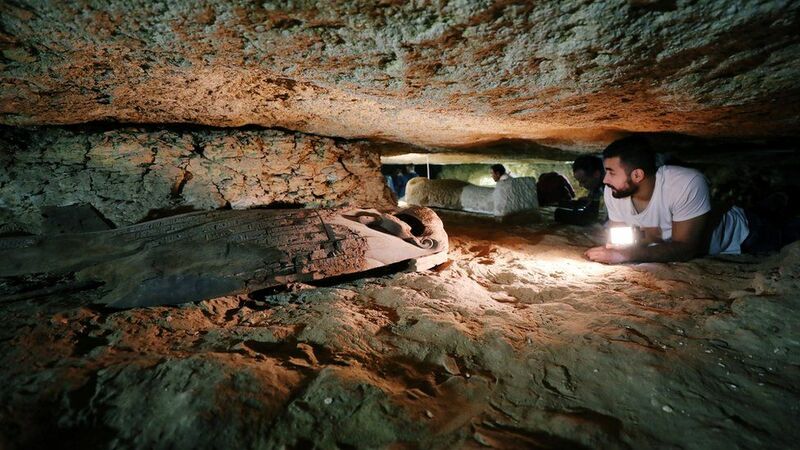 Mostafa Waziri, head of the archaeological mission, said eight tombs had been found over the past three months but he expects more to be uncovered. “Evacuation work is scheduled to last for five years in an attempt to uncover all the burials in the cemetery,” he said. Mr Waziri said many of the tombs and artefacts belonged to priests of the ancient Egyptian god Thoth. 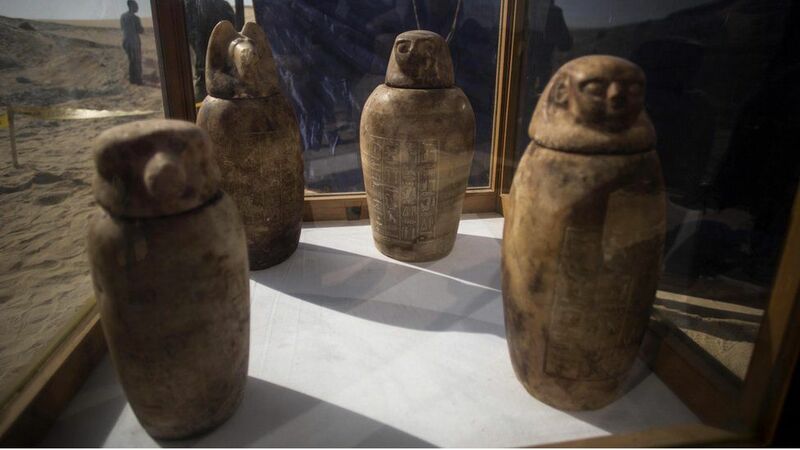 Four well-preserved jars with lids designed to look like the faces of the four sons of the god Horus were also found. “They still contain the mummified inner organs of the deceased. The jars are decorated with hieroglyphic texts showing the name and titles of their owner,” Mr Waziri said. He described the “wonderful coincidence” of discovering a necklace charm on New Year’s Eve that had “happy new year” inscribed on it in hieroglyphics. Earlier this month, archaeologists unveiled the tomb of an ancient priestess that dates back 4,400 years. It was adorned with well-preserved and rare wall paintings depicting the priestess, Hetpet, in a variety of scenes.